“A true Championship Links Course...The elevated greens on the back nine are spectacular” - Tom Watson.
" 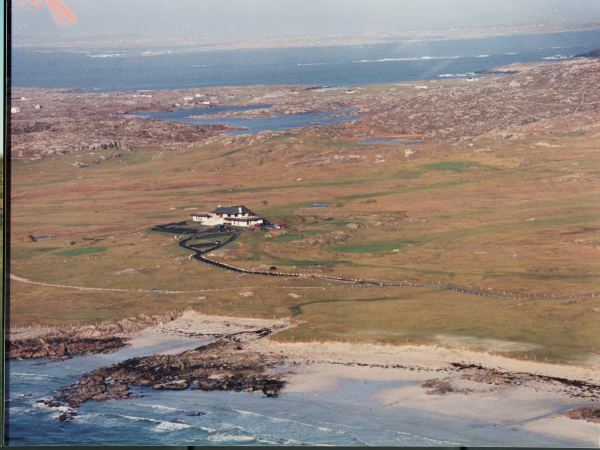 /> At the edge of Europe on the wild Atlantic coast lies a links course that is a challenge to all who play her. 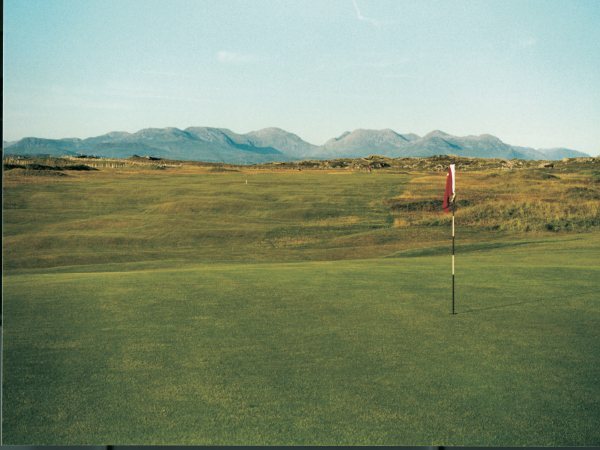 Nestled between the mountains and the sea in the West of Ireland, the Connemara Championship Golf Links is an exhilarating golfing experience. 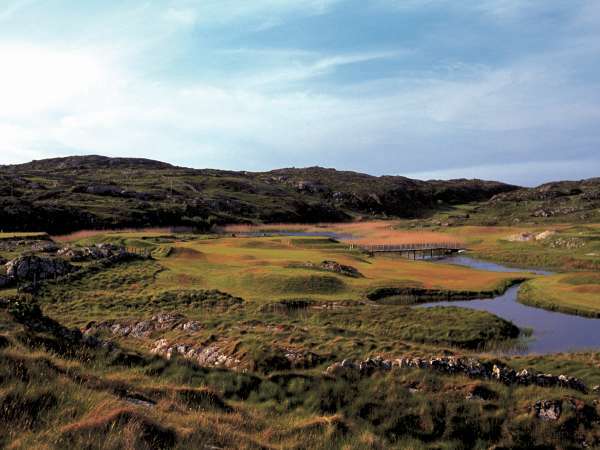 This awesomely picturesque 72 par course with breathtaking views of the Atlantic Ocean was designed by Eddie Hackett and measures 7,229 yards from the back tees. 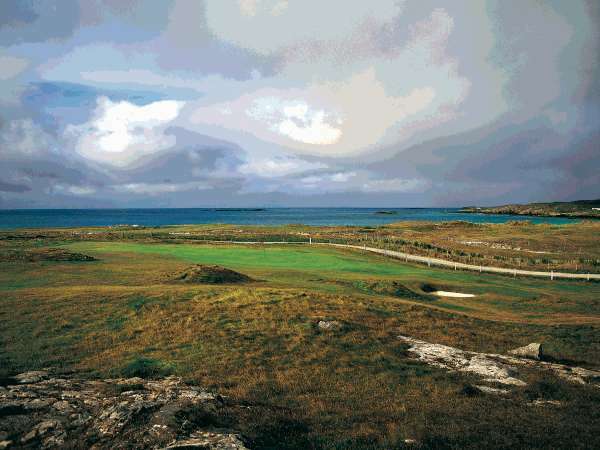 Wind and rainbows are the specialty of the house at this 27 hole course which was started in 1973. An additional nine holes, designed by Tom Craddock, was later built for a modest E1 million and the full 27 became operational in 2000. The back nine has been described as "the equal of any in the world." Greens set high in the hillside on the 14th and 15th can be unnerving, particularly after the very short but testing 13th. 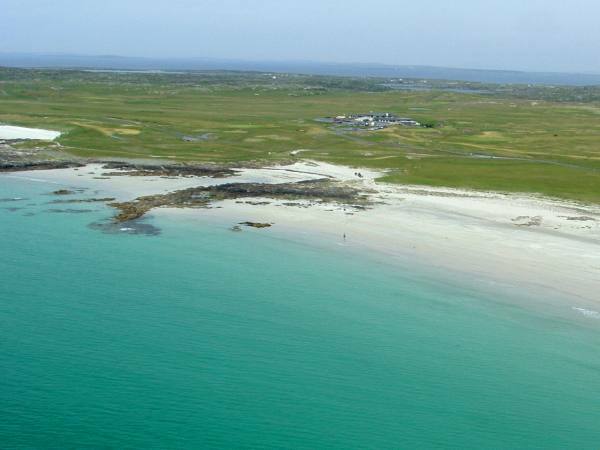 The first two holes of the new nine meander along the coast with waves pounding on white sand beaches below. The third and fourth curl inland along a tricky waterway. The next five holes are a climb into rocky rolling hills with stunning mountain and ocean views.